Plantronics is always dabbling across various headphone markets, whether it is for business, sport, gaming, or just casual listening. They also have products across various price tiers, ranging anywhere between premium level high-performance products in the hundreds and cost-conscious products that are $99 or less. Here, we have such a product. Plantronics recently released the $99 BackBeat GO 600 Bluetooth over-ear headset. However just because it is at a very affordable price point, it doesn’t mean that Plantronics held back on the quality. The BackBeat GO 600 is pretty much the BackBeat 500, reimagined as an over-ear headset. The headset sports a very light and flexible frame, with ear cups that retract and extend out from a plastic headband. Those ear cups also swivel to allow the headset to fold flat. On both the headband and ear cups, you have leatherette cushioning stuffed with memory foam. Even the headset’s controls are arranged in the same fashion as the BackBeat 500. On the right ear cup, you have a button for both call handling and toggling between the headset’s two listening modes: Balanced and Bass Boost. You also have a switch that acts as the power toggle for the headset as well as a wireless pairing control. The left ear cup houses a standard set of controls for media and a separate set for volume. Ports for the included 3.5mm cable and USB charging are also found on this ear cup. The BackBeat GO 600 is ready for both wireless and wired listening, coming complete with a 3.5mm cable and a thin carrying pouch. The controls on the BackBeat GO 600 took very little time to get used to, as all of the media controls existed on just one side of the headset. The Forward, Back, and Play/Pause buttons were easy to find with touch alone. The volume controls are arranged as a sort of volume rocker, which was also easy to finagle with your left thumb. The Balanced and Bass Boost mode toggle is off by itself on the right ear cup, while being a button that I rarely reached for. So overall, the usage of controls on the BackBeat GO 600 ended up having a miniscule to non-exist learning curve. The BackBeat GO 600 is a step up in comfort from its on-ear counterpart. Whereas the BackBeat 500 lead to some fatigue after about two non-stop hours, the BackBeat GO 600 actually remained comfortable for much longer. As for how much longer, I could not say, seeing how I was able to wear the BackBeat GO 600 for about six hours somewhat continuously, with barely any noticeable fatigue. The exceptionally light frame played a part in this comfort, but so did the light tension of the headband and ear cups. The BackBeat GO 600 found the perfect balance of being tight enough to stay on your head while not exhibiting too much pressure on the sides of your head. Not only did my ears fit comfortably within the ear cups, but also the cushioning on those cups had plenty of sink to them. This allowed for the perfect sound-isolating seal, keeping me focused on the sound coming from the headset. This works both ways as well, as it prevented sound from leaking from the headset, keeping the BackBeat GO 600 from disturbing bystanders. Considering that the only gripe I remembered with the BackBeat 500 was its tightness, I was relieved to see the BackBeat GO 600 improve on the comfort as much as it did. 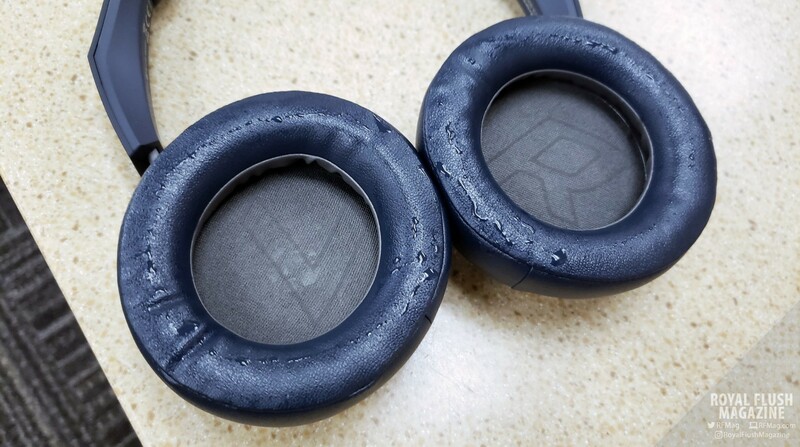 Even though, the BackBeat GO 600 is not a member of Plantronics’ FIT line of athletic products, I was tempted to take the BackBeat GO 600 to the gym to see how it held up during more rigorous wearing conditions. I was happy to note that the BackBeat GO 600 stayed perfectly and comfortably on my shaved head, even after I got a good sweat going. If you are looking for a comfortable wireless over-ear headset, you definitely have one with the BackBeat GO 600. Starting off with battery life and Bluetooth range, the touted 18-hour battery life lived up to the claim. I was able to use the headset from the moment I left my apartment in the morning, continuously throughout the day at work and at the gym, then finishing up with the train ride home. Daily usage ended up being a little under nine hours, and the BackBeat GO 600 held strong for two days of this level of usage before complaining about low battery. 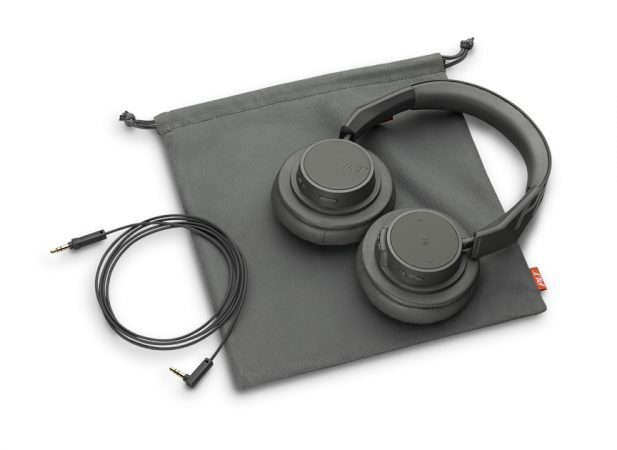 Additionally, the BackBeat GO 600 was able to maintain connectivity, for the most part, with my connected laptop stationed at my desk whenever I wore the headset to the pantry, with my desk being about 12 to 13 desks away from said pantry. I had an interesting take on the BackBeat GO 600’s sound presentation. First off, the BackBeat GO 600 sounds great. You have a nice balanced sound with clear vocals, slightly soft but still very present percussion, and a very vibrant and warm bass. Balanced Mode definitely gives you a very enjoyable and fulfilling listening experience on the BackBeat GO 600. I was a little surprised with Bass Boost, however. I love sound presentations with a lean towards bass, which Balance Mode delivers perfectly, right off the bat. Bass Boost does what its name implies, but I felt it took a little too much off the high-ranged sounds, making percussion and instrumentals come across as a smidgen muffled. If you want deafening bass, you’ll get it in spades with Bass Boost. But I felt that Balance Mode’s presentation was simply more solid and the way to go with the BackBeat GO 600. Overall, I’d suggest the BackBeat GO 600 for anyone looking for a straightforward $99 headset that is comfortable, has all the features you would want, and best of all, simply sounds great. I love how the BackBeat GO 600 took what pretty much was the BackBeat 500 and actually improved on the comfort level. It wasn’t only the obvious difference of over-ear as opposed to on-ear ear cup styles. The tension of the headband is just looser with the BackBeat GO 600 than it was with the BackBeat 500. Clearly Plantronics is moving in the right the direction with each iteration of their products. You can check out the Plantronics BackBeat GO 600 for yourself, here. 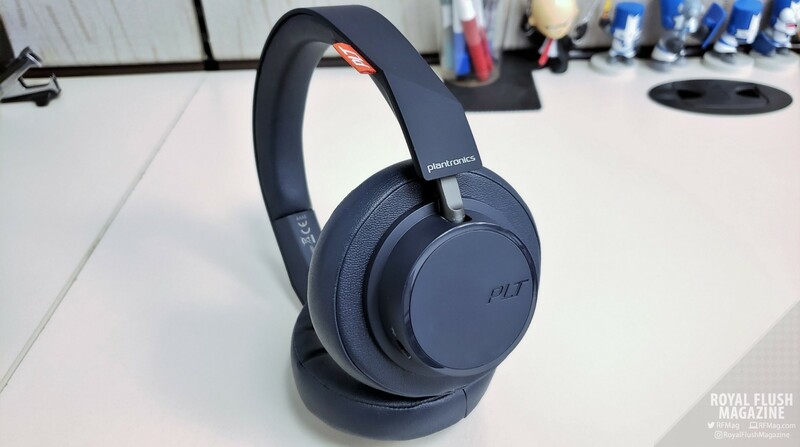 † Plantronics BackBeat GO 600 review unit provided by Plantronics PR.